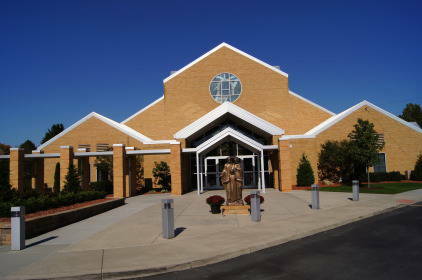 Holy Family Parish is a welcoming Christian community, centered in the suburban setting of Poland, Ohio, which gives witness to the life, death, and resurrection of Jesus Christ in the tradition of the Roman Catholic Church. We exist in order to continue the mission of Jesus and to extend the Father's Kingdom under the guidance of the Holy Spirit. 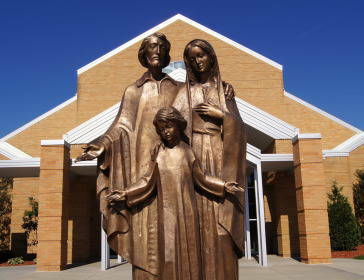 Click here to join Holy Family! Sunday Liturgies: Saturday: 4:00 p.m.; Sunday: 8:00 a.m., 10:00 a.m. and 12:00 Noon. Monday-Friday: 7:00 a.m. and 8:00 a.m. - please see the bulletin for weekly adjustments and school Masses; Saturday: 8:00 a.m. 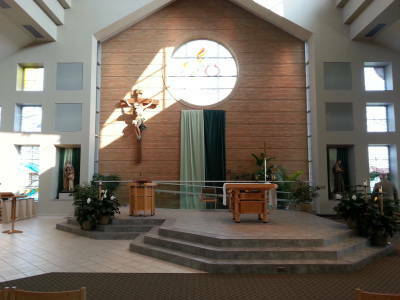 There will be no Mass on Thursdays. 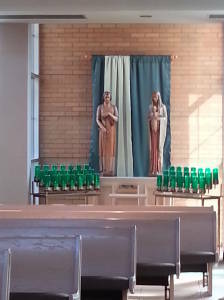 Communion Service will be held at 7:00 a.m. and 8:00 a.m.
Confessions - Saturday: 3:00-3:30 p.m. Please consult Calendar of Events for services on Holy Days of Obligation. Parish office hours are Monday-Friday 8:00 a.m. to 4:00 p.m.